When you think of Snoop Dogg, Linkin Park, and Nas you never really think they are on the cutting edge of getting looser Otaku Millennials to start investing their pocket change. 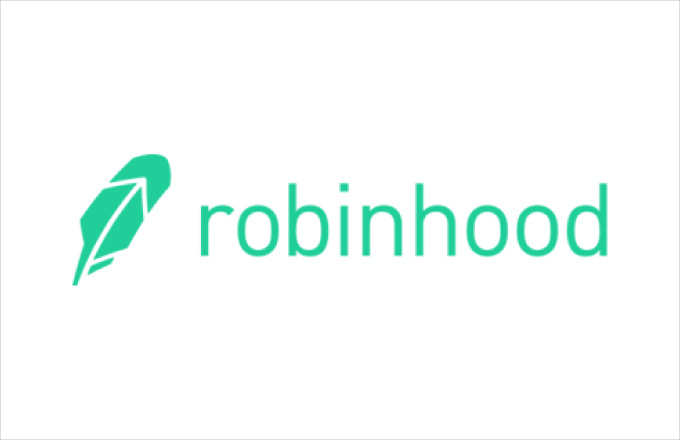 However they have backed a company called Robin Hood Trading which has exploited the momentum from the Occupy Wall Street movement to ironically bring the Jordan Belfort or Gordon Gekko lifestyle to the masses, for free. This diabolical plan is outlined in this Slate Money podcast “Matt Levine is amazing” at around the 12 min mark. The millennials are a largely untapped market for ripe exploitation on the stock market with 74% of them with nothing in the market. They certainly love video games on iOS devices paired with a need for dumbing down complex concepts into flat color graphic form to create a goofy fun swipe game app with real money. Robin Hood Trading is this new video game, a Tinder for stocks, a flappy bird for speculation, the candy crush saga of brokerage houses. So naturally I linked my USAA account to open a new account on Robinhood that allows free trades. They can do this because they make you their product, your trades are pretty much sold to another HFT firm so they can make a few pennies. Who cares, the trades are free to you, and I pair this up with the free Morningstar stock analysis linked from the site: MCCS Libraries and you got yourself a poor man’s trading platform. No longer do I have to pay $9 for a trade with TD Ameritrade but look up all the details I need and then I can trade for free on Robinhood. So free trading has made me look at day trading as an option, or rather stay up till 10:30 PM in Japan and wake up at 5 AM kind of trading. This makes the ETF and ETN based on futures contracts so attractive. It is like online poker all over again with its massive 3x leveraged movements based on commodities prices. All of the above are terrible ETFs that devalue over time. So holding on to them for more than a few days will always lead to massive loss due to contango. You better buy and sell these things daily and hope you went the right way. Now for those who actually want to save for retirement we have super duper diverse ETFs like VTI which is essentially owning one stock of every publicly traded company in America. Its weighted by capitalization so its essentially the S&P 500. Full Disclosure: Nothing on this site should ever be considered to be advice, research or an invitation to buy or sell any securities. I’m no expert you will certainly loose money following the above advice, but at least you won’t pay for the trades! This entry was posted in Uncategorized and tagged ETF, Stocks.